This pretty banner is perfect for a shabby chic, rustic bridal shower and a great way to dress up the bride's chair. The wood letters are painted ivory. 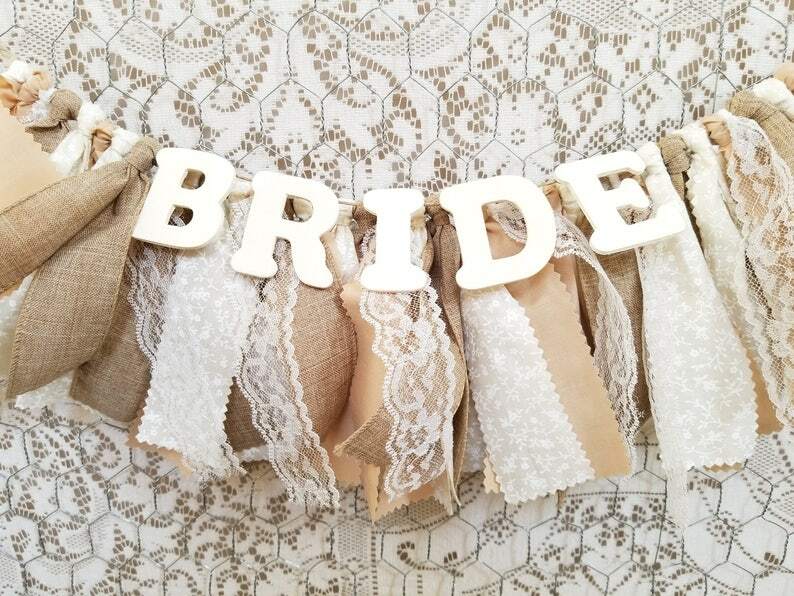 The sign(s) will be backed by a gorgeous rag banner including linen ribbon, solid tan, ivory on ivory and lace. Please note fabrics/lace may vary slightly. Please choose the word/phrase you would like before adding the item to your cart. BRIDE banner measures approximately 14" wide when stretched flat. BRIDE GROOM - 2 separate banners... each will measure approximately 14" wide. 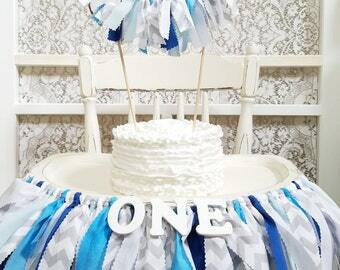 All banners are 5 - 6" tall with approximately 12" of twine on either side for hanging. Letters are approximately 2" high and 1.5" in diameter. Glitter is sprayed with a sealer to minimize shedding. Like this style, but prefer different colors, different words or phrases? We love to customize! Send me a message with your specifications and I will put together a sample for you. Thanks for looking! Find us on Facebook and Twitter! Currently, I accept PayPal and Direct Checkout via Etsy. Returns on custom items are not accepted. Returns on standard items will be discussed on an individual basis. A 20% restocking fee may apply to returned orders. If you have concerns with your order or are unhappy please contact me... customer service is my first priority. Please check individual listings for lead time information. Most orders ship in 1 - 2 weeks. Most orders will be shipped via USPS Priority Mail. Large orders/items, such as cards trunks, may be shipped via FedEx. Tracking information for all orders will be emailed upon shipment. I will gladly ship items internationally. Please message me with your postal code for International Shipping Rates if you do not see them listed. ***Please be aware that I do not pay any duties, custom fees, or any other associated fees. These fees are the responsibility of the customer. I do not take responsibility for items lost or damaged during shipping. I will gladly insure all items for an additional cost, please ask if interested. I love working on custom design requests... if you are interested please contact me! I would be delighted to have the opportunity to work with you. Anything that I can do to bring your ideas to reality will be done! Please remember that all items are assembled by hand, so two items may not be identical. That's the beauty of the product! Please allow for slight variances from piece to piece. Please note that colors vary from monitor to monitor, so it is impossible for us to guarantee the exact color you see on your screen.